Hayden Savage poses on Bureau of Land Management land that he frequented near Kremmling. 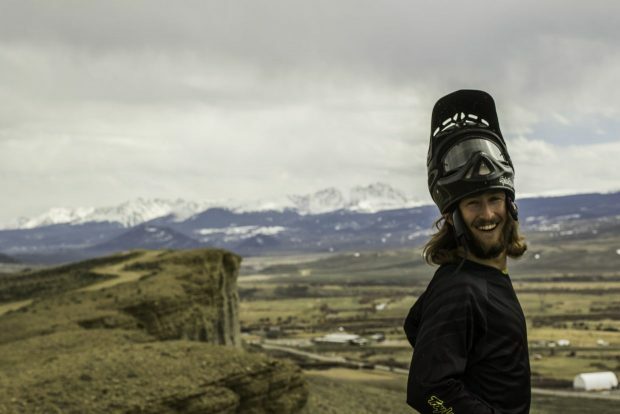 STEAMBOAT SPRINGS — Friends say Hayden Savage had a smile that could fill a room, an infectious personality that made those around him feel good and a passion for the outdoors. Savage, 24, died Saturday after the snowmobile he was driving veered off Routt County Road 16 near Stagecoach Reservoir. The machine and Savage were thrown into a grove of aspen trees just off the road. First responders attempted CPR, but Savage was pronounced dead at the scene. Savage moved to the Steamboat Springs area at age 19. He worked for Routt County Riders’ trail-building program and at Azteca Taqueria. Jonas Gabriel, who owns Azteca, first met Savage when he walked through the doors of Gabriel’s downtown restaurant. But fishing was only one of Savage’s many loves. He was also a talented skier and had a passion for riding his downhill mountain bike. But while Savage may have liked to ride fast and ski hard, Copa said he was not reckless when he was on his bike or skis and definitely not when he was building trails. He said Savage was his most trusted employee with a chain saw and cleared many trails in Routt County. Savage’s friends said he would often travel to Kremmling to ride on the Bureau of Land Management trails in that area, and it was not uncommon for him to bring a shovel and work on parts of those trails. The restaurant owner said he is planning a celebration of life for Savage next week at Azteca and is working with the family to find the right day and time. At press time, those details were not yet available.